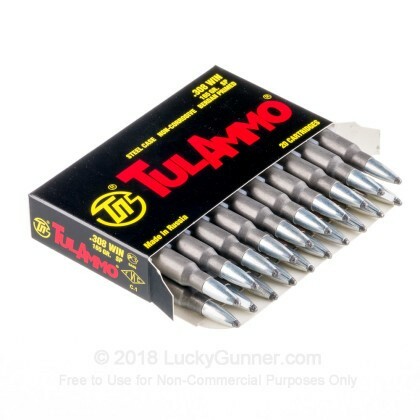 This newly manufactured ammunition is perfect for hunting, self-defense, tactical training, and target practice. It is both economical and reliable and is produced by one of the most established ammunition plants in the world. Tula performs flawlessly in all three of my AR's. 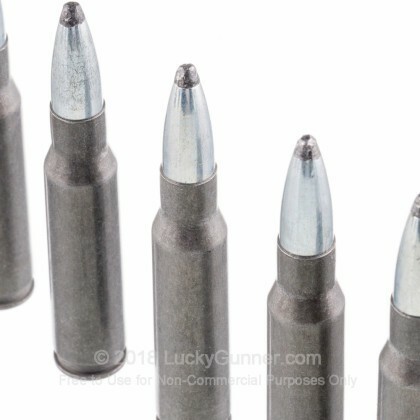 I use .223, 7.62x39 and .308 and you can get .223 with a 75 grain bullet. The expansion is as good as Hornady Whitetail 165g which is hunting load. My last 3 hogs the round never exited and they were DRT. I hit a coyote in the head the exit wound was the size of 2 golf balls it was impressive. This will kill anything you need in North America. I've dug out 2 of these and I can tell you w/o hitting any bone these mushrooms were as good as they get. 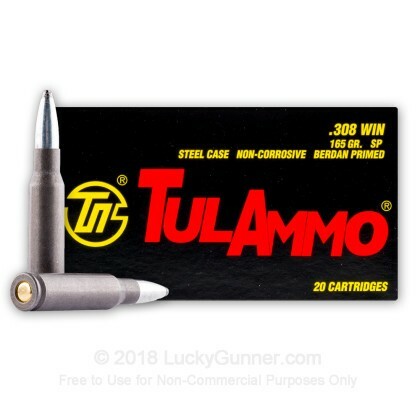 I enjoy HUNTING with this ammo. I've used it many times before for target round shooting also. The bullets are steel jacketed. they only slightly flattened or arounds their noses, much like a 30-30s bullet before it's fired, when they impact. They do not mushroom! Likewise, they do not tumble either, as military bullets do. They are absolutely the worst of both worlds. You're better off with anyone else's ammunition. 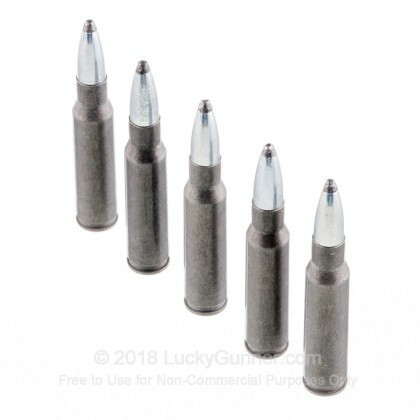 This is not ammunition you want to use on game animals. You will shoot them and they will run away and die 5 miles away! I tested the stuff extensively. It does not work. 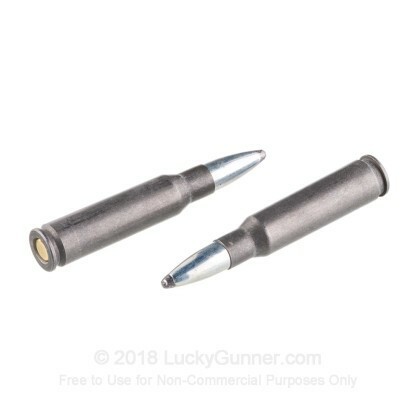 Q: Is this ammo reloadable? A: Hello Norman, This ammunition is loaded in a steel casing and as a result, is not able to be reloaded. 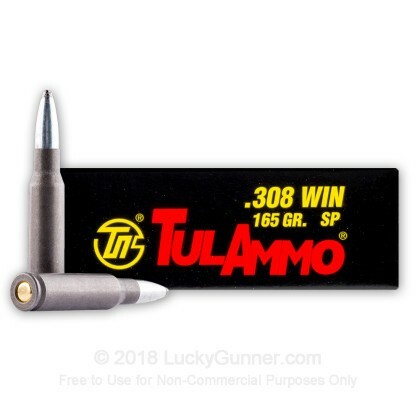 We also have this 308 - 165 gr SP - Tula - 20 Rounds ammo in stock in a smaller quantity.